The ARRIS X-Speed 280 is a racing drone. It looks, feels, handles and races like a racing drone should. If you love the thrill of racing a powerful and fast drone, this is the perfect one for you. The price is good; the drone comes full assembled from the factory. In a couple of minutes, you will have it in the air and running. 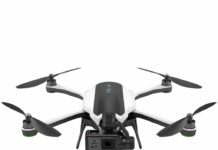 While the price is a bit cheap for a racing drone, it really is not for a total newbie drone enthusiast. If this is your first drone ever, you would do better to take it slow, maybe cut your teeth on a smaller, less expensive drone. After learning the ropes of flying a drone, you can then take to racing the ARRIS X-Speed 280 V2. Physically, the ARRIS-X-Speed 280 looks like it was built to last a long time. The body is designed with durable 1.5mm carbon fiber that can withstand even serious crashes and falls. This is a racing drone after all and you can never be too sure that it will not crash a few times in the trees. 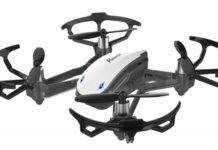 When you buy this quadcopter, it might come assembled, but some reviews say that you can buy it at a lower cost when it is not assembled. It measures 9.6 by 8.4 by 4.1 inches and weighs 161 g. The double plated arms are going to resist cracking if you crash it. The propellers are made of a special blend of carbon and nylon material. This ensures that they have a chance to withstand a crash, and much better as compared to props made of plastic. Because the drone has been designed with ordinary plugs and wiring, you can add extras like LED lights, switch the motor if you like and even add more controllers for speed. 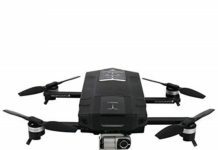 This is a camera drone, perfect for shooting fast moving objects. It has been equipped with a Sony 700 line camera. It shoots high quality videos and images, and it is slightly adjustable by utmost 20 degrees. 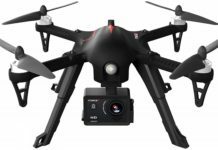 Because of speed and crashing risks, the drone has been designed with a vibration damper plate which helps keep the camera stable be filtering the vibrations so that the videos and photographs are clear and of high quality. Equipped with the First Person View feature, you can stream videos and pictures in real time. If you have some extra money, you can also buy Goggles, which will make you enjoy the race in style. The ARRIS X-Speed 280 racing drone is powered by the 3s 11.1V 1500 mAh battery. 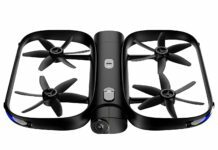 However, a range of batteries from the 1500 mAh to 2200 mAh can be used on this drone. Just make sure it is a 3S to 4S. A 2200 mAh battery is going to give you 10 minutes flight time but this can go down a bit if the conditions are windy. Because this drone is sold completely assembled from the factory, it is also sold with everything that you need to fly it. When you get it, just plug in the battery and get it flying. It is sold with a RadioLink AT9S transmitter and R9DS receiver. With the powerful 2205 ARRIS brushless motor, this drone is quite a performer. Besides, with a 2200 mAh battery is more than enough since it has 75A and this motor requires 57A. The rest of the power can go to lighting up the LED lights. As for flight modes, you can always start with the simplest – self level mode where you just have to leave the stick in the center. The drone levels off and flies at that level. To do some acrobatics (yes, it has acrobatics), you will want to fly it on manual so that you can do rolls and flips. The manual mode is also called the Acro Mode. I love the aggressive, predatory look of this drone. I bought a spare battery to increase my flight time. 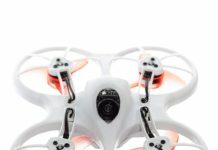 I think this drone is not intended for beginners because it is hard to figure it out at first. Penny W.
The RadioLink transmitter looks quite advanced, stylish and beautiful if you ask me, like something from a Sci-Fi movie. It is a bit complex to figure out, but with time, you even learn how to locate the drone. Jose P.
I have flown this drone for some time and it has crashed several times. Yet every time, it has come out intact. I do not think they come any tougher than this. It races fast and once you get the hang of it, it is a lot of fun. Only disadvantage I would say is that it can take some time to learn to fly it expertly. Kwame R.
Armed with extra propellers and two spare batteries, I was ready to give my newly bought ARRIS X-Speed 280 the race of its life. And I did! 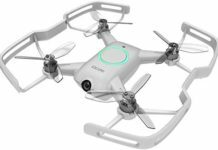 This drone is powerful and fast and the controller is a package of awesomeness bundled together. Pitt A. Who Should Buy The ARRIS X-Speed 280 V2 FPV? 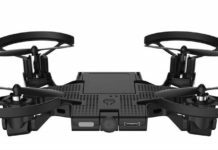 Anyone who loves a good racing drone should buy this one. It has a powerful brushless motor, good speed and it is built to perform. If you love to shoot footage at high speed, the ARRIS X-Speed 280 V2 is the real deal for you. 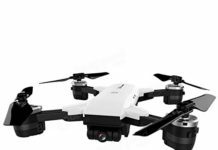 Even if you have never flown a racing drone before, this drone can serve you well because it comes assembled. Just plug it in and fly it. 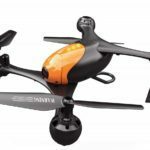 With powerful motors and propellers, built to withstand multiple crashes, the ARRIS X-Speed 280 V2 FPV quadcopter drone is every drone racer’s dream. 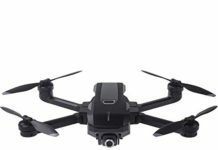 It performs exemplarily in the air and even in windy conditions; you can still milk some good flight time from the drone. 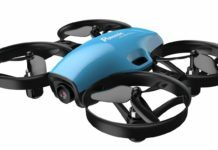 Get a couple of batteries and a spare set of propellers and you will have incredible fun with this drone.